RRP £60.99 Our Price £54.89! save 10%! 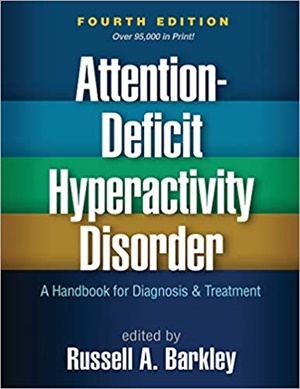 Widely regarded as the standard clinical reference, this volume provides the best current knowledge about attention-deficit/hyperactivity disorder (ADHD) in children, adolescents, and adults. The field's leading authorities address all aspects of assessment, diagnosis, and treatment, including psychological therapies and pharmacotherapy. Core components of ADHD are elucidated. The volume explores the impact of the disorder across a wide range of functional domains--behavior, learning, psychological adjustment, school and vocational outcomes, and health. All chapters conclude with user-friendly Key Clinical Points.